Enjoy a healthy, sun-kissed glow without setting foot in the sun. 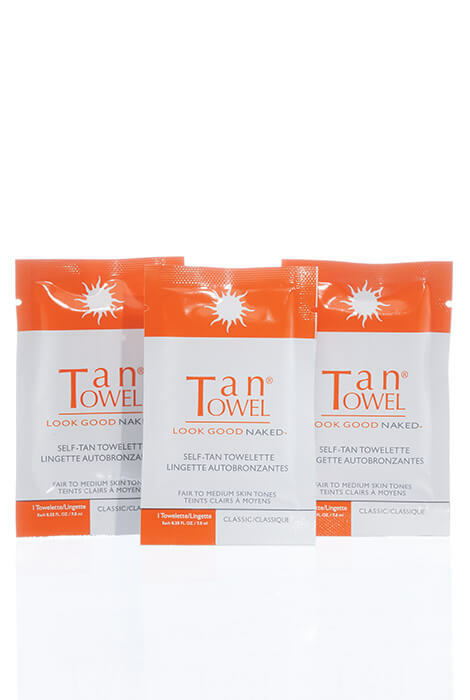 TanTowel® Self-Tan Towelettes are infused with a clear self-tanning formula that works with the proteins and amino acids in your own skin to create a natural, sunless tan. Quick and even application, without streaks or mess. Applies in minutes, dries in seconds. Results take only a few hours. Convenient half-body size covers both legs, or arms and face, or other partial body areas. 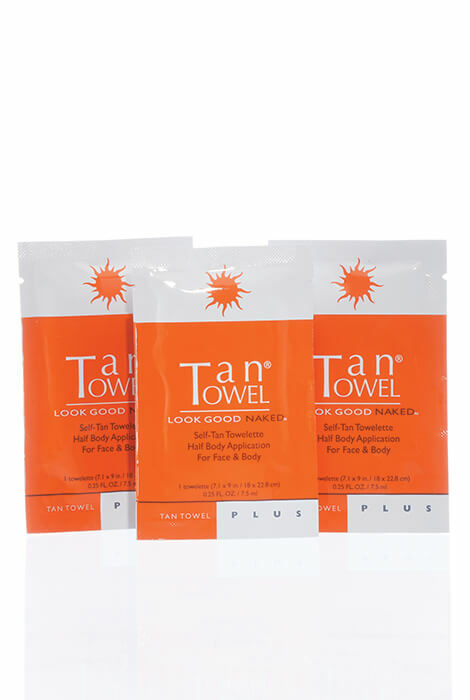 Self tanning wipes come in two shades that complement most skin tones. To use, apply to clean, dry skin in a circular motion. Wash hands immediately after using. For best results, exfoliate 24 hours prior to use. To use, apply to clean, dry skin in a circular motion. Wash hands immediately after using. For best results, exfoliate 24 hours prior to use. Comes in two shades: Classic for fair to medium skin tones, Plus for medium to dark skin tones. Unfold towelette and apply to clean, dry skin in circular motions. Wash hands immediately. Use as often as needed for a deeper tan or to maintain your glow. For best results, exfoliate 24 hours prior to use. Can be used on face and body. I have used this product before & liked the results.